The past few weeks I’ve been working with Susan* who has, for years, been unable to lose weight and keep it off. Of course she tried every diet under the sun, but she was never successful. This only increased the intensity of her feeling that she was never “good enough”. In our tapping sessions, it was revealed that Susan’s family (mom, dad, grandma, and others) were – and still are – VERY judgmental when it came to weight. During a visualization, all she could see was that everyone was looking at her critically. After a couple of sessions, Susan was able to talk to her sister about weight issues and even set some boundaries with her parents. 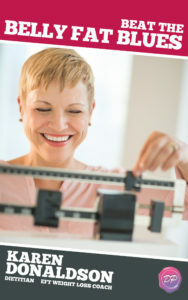 With tapping, she released the anxieties surrounding her “size” and she was able to understand that the negative energy around her weight really belonged to her family members, not her. She literally felt like a weight had been lifted. To her surprise, Susan bought a beautiful dress and was able to enjoy wearing it without judging herself. She also released nine pounds in the past week, as she let go of the anxiety surrounding the number on the scale. She has been tapping for a few minutes each day to stay calm and balanced. 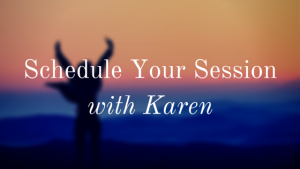 If you’ve ever been told you’re “fat”, please call our office to set up an appointment with Karen to release the blocks that are holding you back from losing weight. Also, check out our video on how stress can make you fat.